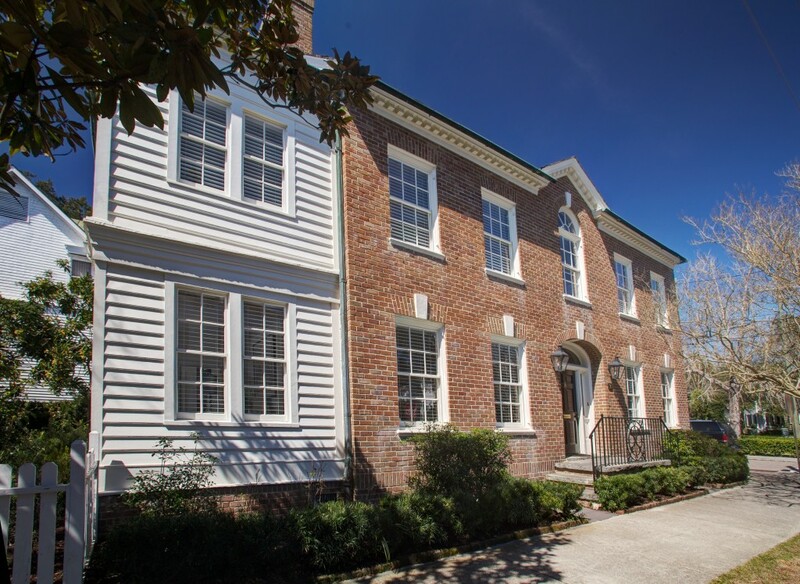 Nestled in downtown Charleston’s coveted South of Broad section of the peninsula, 21 Council Street is a truly distinct property. The current owners have done a masterful job of renovating the interior to blend original finishes with clean, contemporary living spaces and the property offers a large outdoor living area which is unique for downtown. Upon entering 21 Council Street, you will be greeted by the light-filled foyer. The space showcases a beautiful staircase leading to the upper floors of the home with an elegant palladian window overlooking the backyard. There is also a wine fridge and a newly added powder room under the stairs. Flowing from the foyer is the formal living room. This spacious, sun-drenched space is the ideal spot to entertain friends and family. 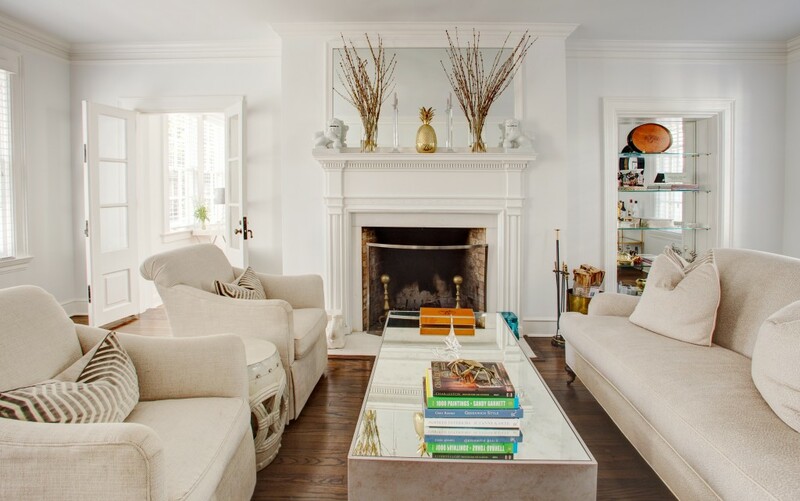 A wood-burning fireplace serves as the focal point of the room with several other notable features including a built-in bookshelf with glass shelving, a beautiful mantle and large windows. Also accessible from the living room is the downstairs bedroom–which features a laundry closet and a new en suite bath with wainscoting, tile flooring and a frameless glass shower. 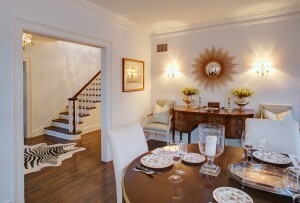 To the right of the foyer are the home’s formal dining room and kitchen. The well-sized dining room is a perfect spot to host dinner parties and effortlessly connects to the kitchen. 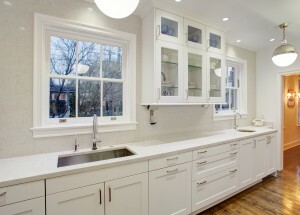 The kitchen is one of the most stunning spaces in the home and has been fully renovated. Custom Siematic cabinets, Silestone counters, elegant lighting, high-end appliances and a hammered metal bar sink are some of the highlights. A newly configured breakfast room, with floor to ceiling windows overlooking the backyard, is another draw. The home’s master suite and two guest bedrooms are located on the second floor of the home. The two guest bedrooms are well-sized and share a Jack and Jill full bath which has been updated with new fixtures, colorful wallpaper and mirrors to enhance the room’s natural light. Across the hall from the guest room is the master suite. Features include a large bedroom, his and her dressing room with built-in storage, and an elegant en suite bath with marble floors, a frameless glass shower and a marble topped vanity with two sinks. To add additional square footage to the home, the current owners converted the third floor attic into a loft space which functions as an additional living area. Hardwood floors, tall ceilings, window seats and recessed lighting add to the space which currently functions as a media room and kid’s play area. There is also abundant storage in the easily accessible attic. In additional to the wonderful features within the home, the property is also unique in that it sits on a 0.12 acre corner lot (on the corner of Gibbes and Council Streets) and has a large backyard. Fresh sod, colorful landscaping, trees, a mosquito misting system and custom lighting enhance its appeal and there is enough room to add a pool. 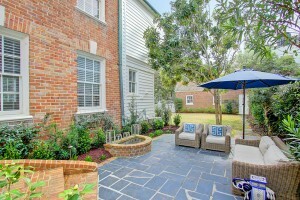 There is also a beautiful blue stone terrace which extends from the breakfast room and provides an ideal spot to revel in the warm Charleston weather. 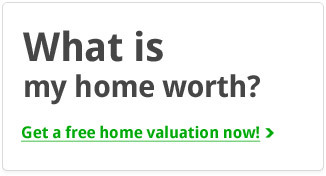 If this property sounds like it might be a fit, please contact listing agent Robertson Allen to set up a private showing.